CARFAX One-Owner. Clean CARFAX. 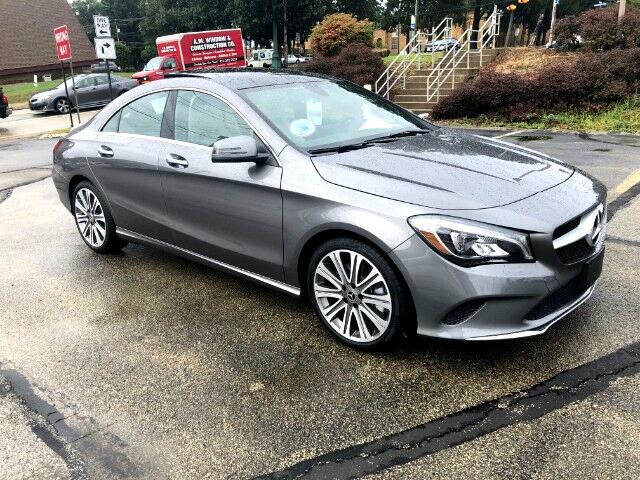 Polar Silver Metallic 2018 Mercedes-Benz CLA CLA 250 4MATIC® 4MATIC® 7-Speed Double-clutch 2.0L I4 Turbocharged Recent Trade on new 7 Series BMW! Odometer is 2258 miles below market average! 32/24 Highway/City MPG This vehicle still retains a full factory warranty that is transferrable with the vehicle. Some vehicles have a full 'bumper to bumper' warranty, while others have a powertrain warranty. LIFETIME POWERTRAIN WARRANTY INCLUDED PLUS 1 YEAR MAINTENANCE PACKAGE INCLUDED! See salesperson for complete details.